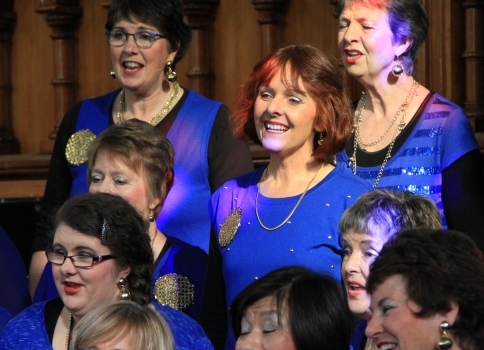 Nelson Bays Harmony is a group of women who sing for pleasure and perform with passion! The chorus currently has 40 singers of all ages and backgrounds, and we are ready to welcome more! We sing unaccompanied 4-part harmony, barbershop style. Barbershop music is arranged to produce beautiful ringing chords that are a buzz to sing and to listen to! Our repertoire includes well-known ballads, barbershop classics and modern a cappella songs. We also sing numerous Christmas carols! Read about booking us to sing at your event! 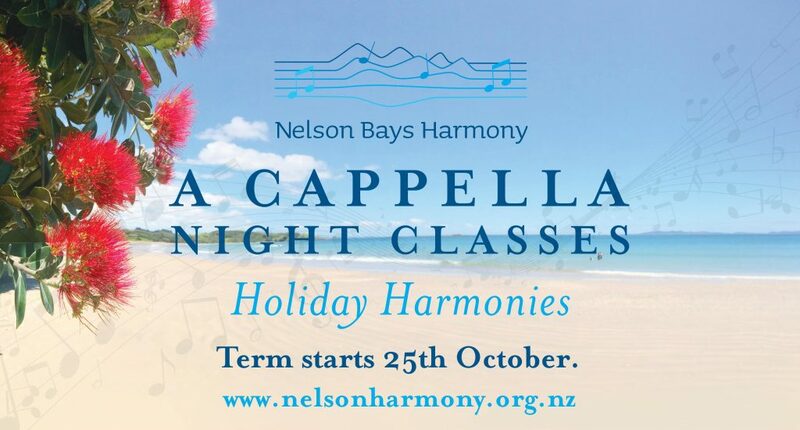 Nelson Bays Harmony A Cappella Night Classes – Term 3 starts 16 May! Join us as we return from the Sweet Adelines national contest – learn a new song with us! All levels of singing ability welcome. Learn about vocal technique, breath management, harmonising and tuning – with a fun and friendly group of women! This 8-week A Cappella Night Class will commence on 16th May at 7pm at Club Waimea, Lower Queen St Richmond (in the main hall, entry off foyer). Term fee is $75. For enquiries or to secure your spot email Jenny– limited spaces! Please note these classes are only open to women – sorry guys! You might like to try Men In Accord who also rehearse weekly at Club Waimea. Join us for this Friends & Family concert send off as we perform our Show Package in preparaton for the Sweet Adelines national competitions – Dunedin here we come!!! Want to take your love of singing to a new level? This is a great opportunity to see if singing 4part a cappella harmony with this fun and friendly bunch of women is going to be your new hobby! We currently have 40 singers, from teenage to 70s and we are ready to welcome more. 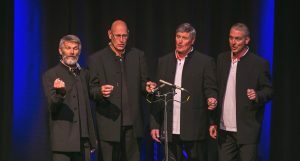 Thousands of Kiwis across the country enjoy barbershop singing – the beautiful melodies, ringing chords, sweet harmonies and dynamic rhythms make this music fun for all! 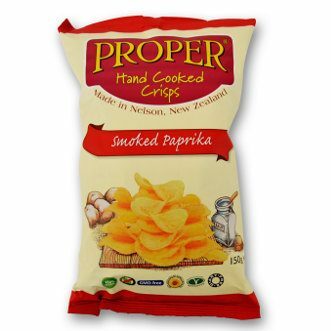 Mix that with the support of a group of like-minded women, we are sure you will become hooked! Come along and find out more at our 21st Feb Open Night!! An evening showcasing some of Nelson’s finest singers and musicians. Nelson Bays Harmony, Nelson’s acclaimed world music choir Mosaic; award-winning local singer-songwriters Bryce Wastney and Brooklyn Scott; highly commended Nelson College For Girls string Trio The Bachelorettes and NCMA Young Voices Choir. 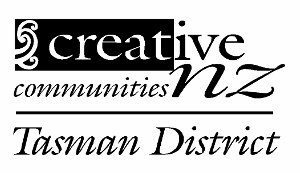 Details and ticket information on the Nelson Arts Festival, Sounds Excellent page. Experience happiness and joy through singing, come along to our 8 week night class series and learn Christmas Carols in 4 part harmony. 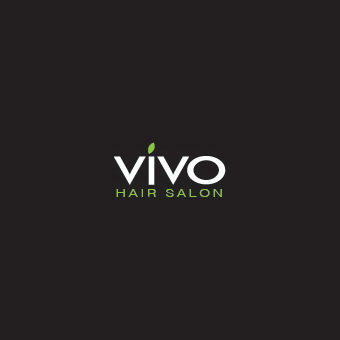 Venue: Club Waimea, Lower Queen St Richmond (in the hall, entry off main foyer). Learn about vocal technique, breath management, blending and tuning. Beginners welcome. Training provided by experienced vocal coaches including an evening with internationally respected, master musical director and vocal coach Virginia Humphrey-Taylor. Fee $75 per term. 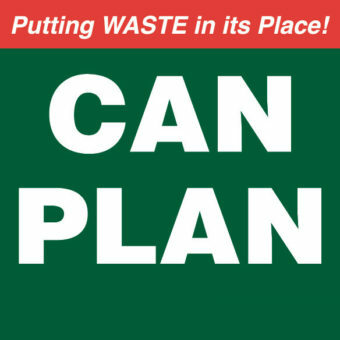 Email Jenny to register your interest – limited spaces! As part of the NCMA opening celebrations Nelson Bays Harmony will be sharing the stage with Nelson male Voice Choir for this lunchtime concert. Nelson Bays Harmony Chorus has been part of the Nelson-Tasman music scene for more than 20 years. The group are ordinary women from all walks of life, bound together by a love for singing. They are affiliated to Sweet Adelines International, a highly respected worldwide organisation of women committed to advancing the musical art form of barbershop harmony through education, competition and performance. This independent, non-profit association is one of the world’s largest singing organisations for women. A matinee musical celebration fundraising for Nelson’s new Home for Hospice. The concert will be hosted by Nelson Bays Harmony with special guests: Singer-songwriter Bryce Wastney; Mosaic world music choir; Uklectics accoustic duo and “4 in Accord” men’s barbershop quartet. See below for more info about each of these talented performers. 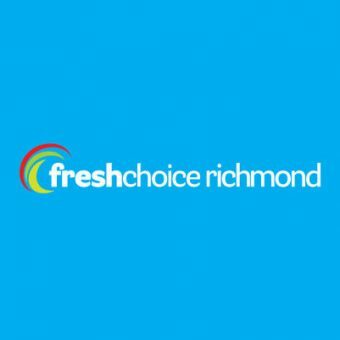 Tickets $10 (Gold coin entry for children) – all profits to Nelson Hospice. Afternoon tea available at half time (gold coin donation) and raffles! Uklectics, usually a trio, has their own unique take on popular music, reinterpreting an eclectic mix of rock, country, and pop tunes. 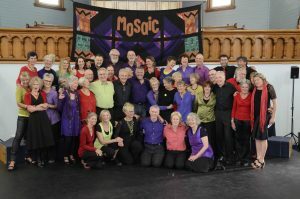 Nelson’s oldest world music choir, Mosaic has been bringing a cappella pleasure to audiences for 20 years with their high energy and vibrancy. This 40-strong choir is directed by Shannel Courtney and has been described as one of Nelson hidden treasures. Their repertoire covers most the continents of the world, including songs from the Pacific, with a special focus on African music with its uplifting harmonies and rhythms. The inspiration that drives Mosaic is the sense of community that singing fosters and the privilege of experiencing the diversity of musical cultures through song. 3/4 of this quartet also sing in “The Hemispheres” who won the award for most entertaining quartet at the nationals in 2016.